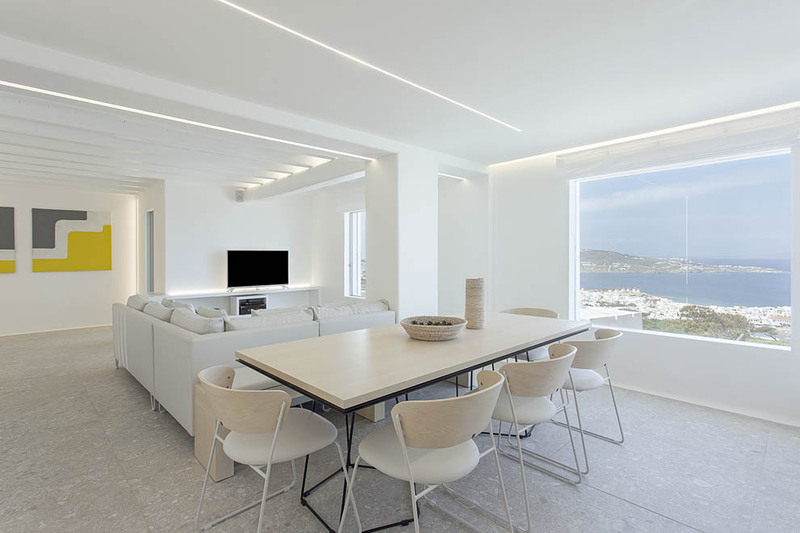 Close to the wonderful town of Mykonos that is famous for its picturesque narrow streets, cosmopolitan lifestyle and intense nightlife, the radiant Villa Essence enjoys a mesmerizing view that will absolutely steal your heart in the morning you can relax while watching the ancient island of Delos with its unique aura and the infinite blue color of the tranquil Aegean Sea, while at night you can gaze at the thousand twinkling lights of the Mykonos town or the million sparkling stars shining in the sky. 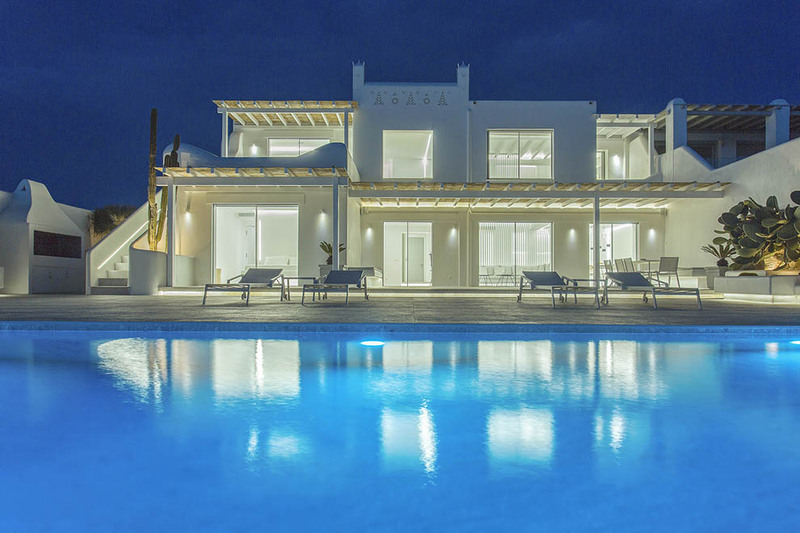 In the grounds there are large verandas and a huge swimming pool, surrounded by comfortable sunbeds, together with various seating areas. 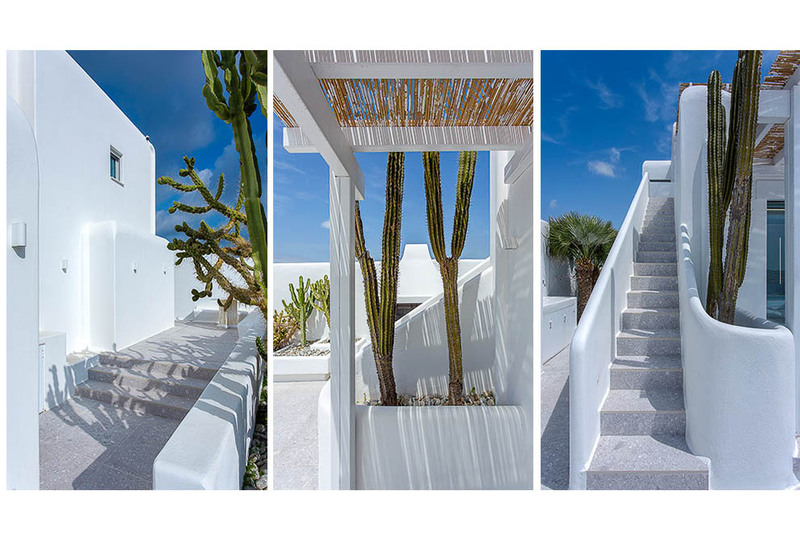 A unique environment for relaxation and entertainment is created by the exceptional design and the mix of traditional and chic minimalistic architecture.An all white pergola provides some shade for the outdoor dining area that is conveniently placed a few steps away from the villa’s kitchen, almost as a continuation of the indoor spaces of sorts. 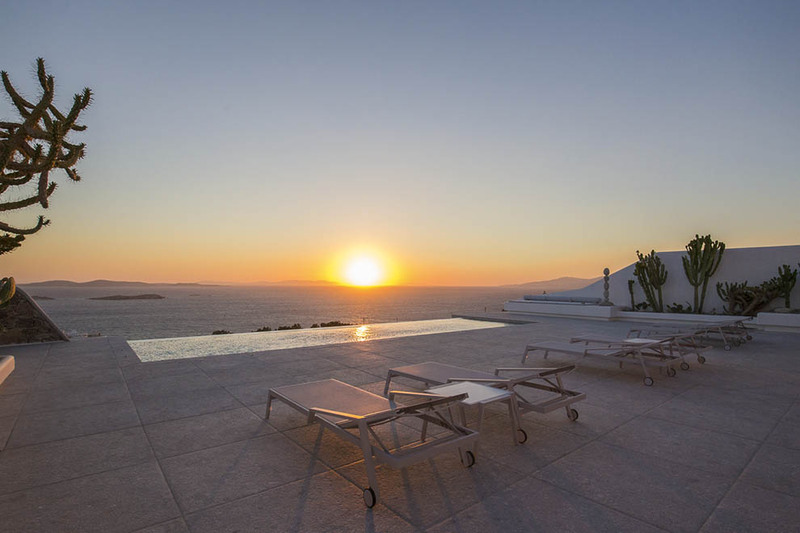 This stunning villa in Mykonos promises unforgettable days under the Mykonian sun and mysterious nights under the thousands of sparkling stars. 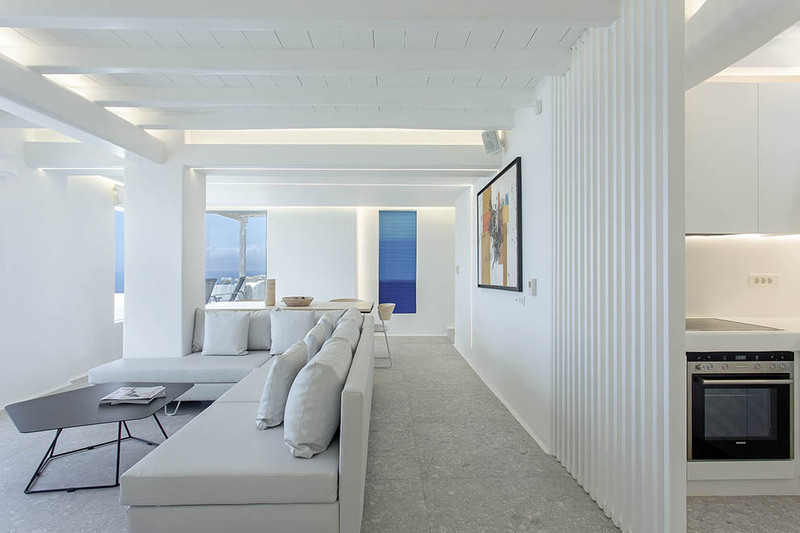 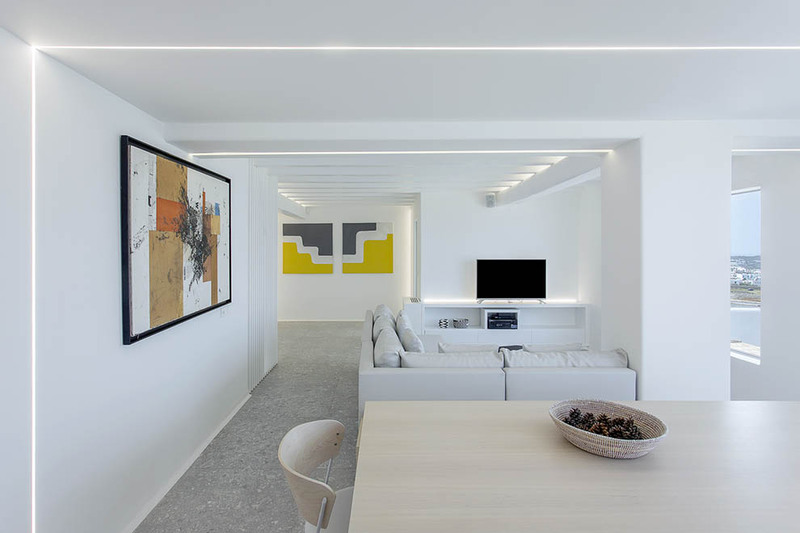 The villa interior, along side it’s position, are the two most appealing features. 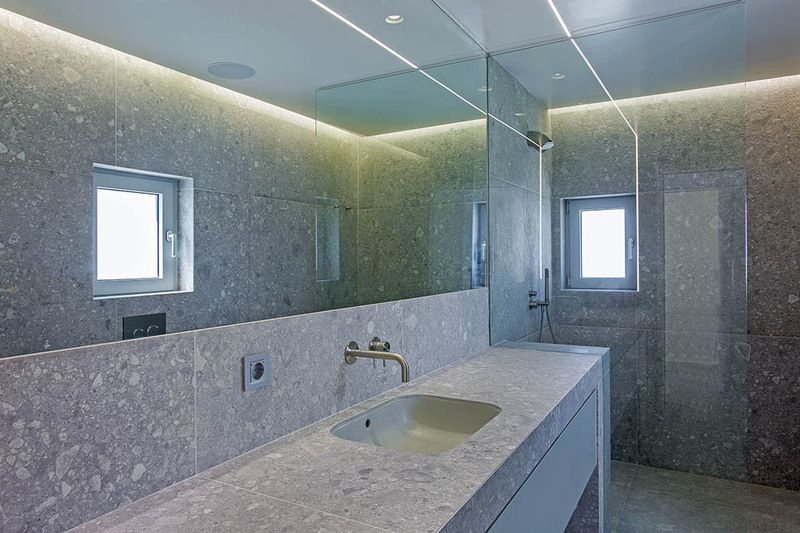 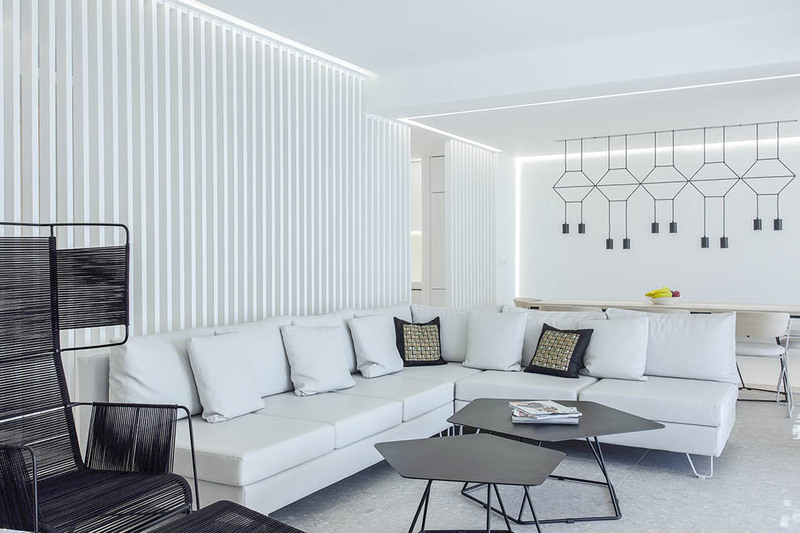 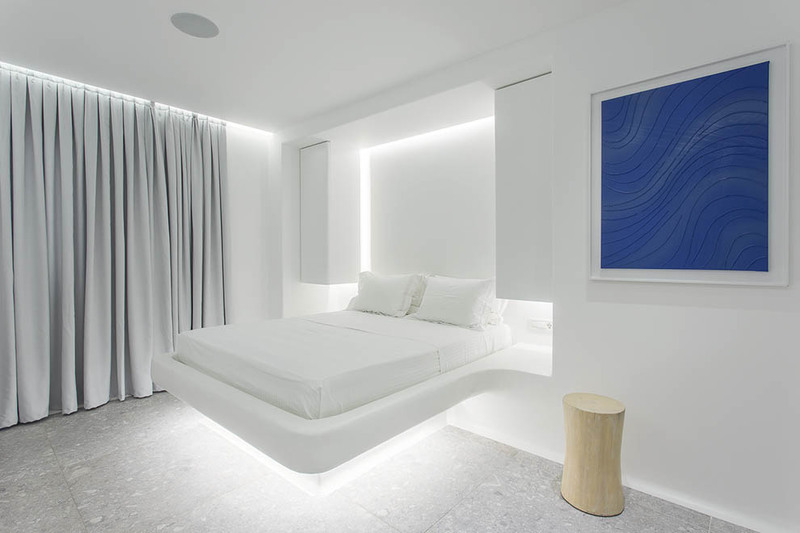 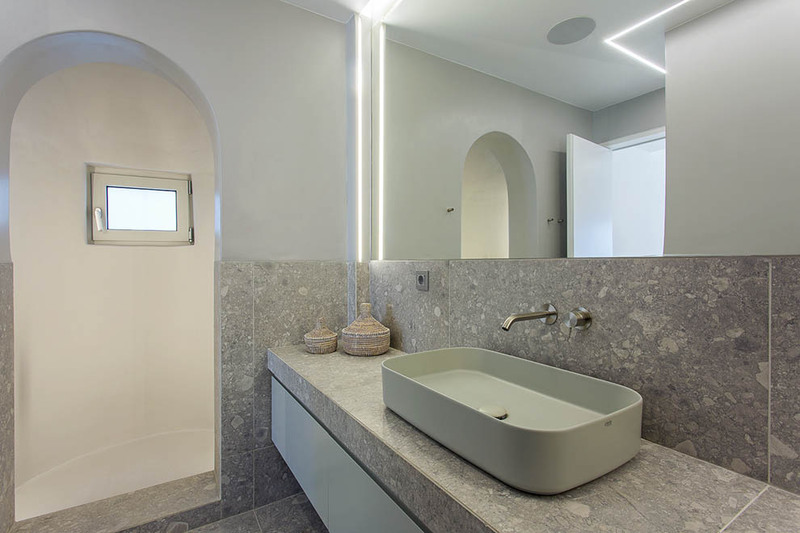 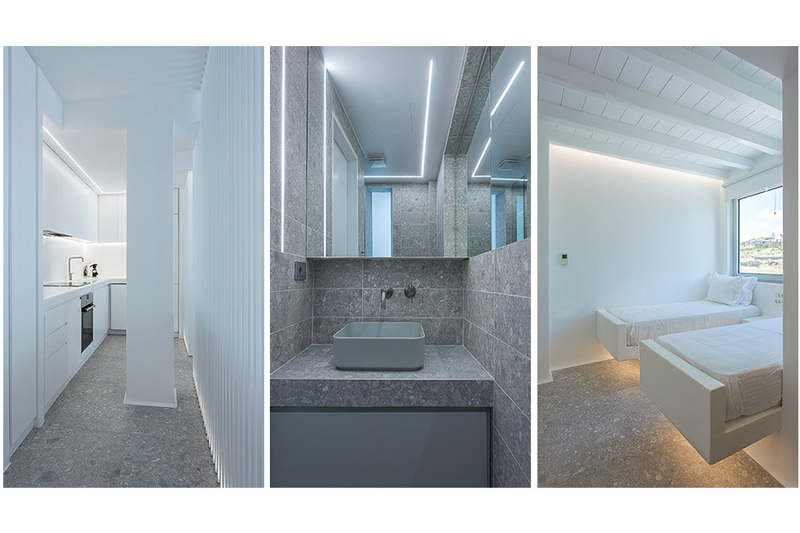 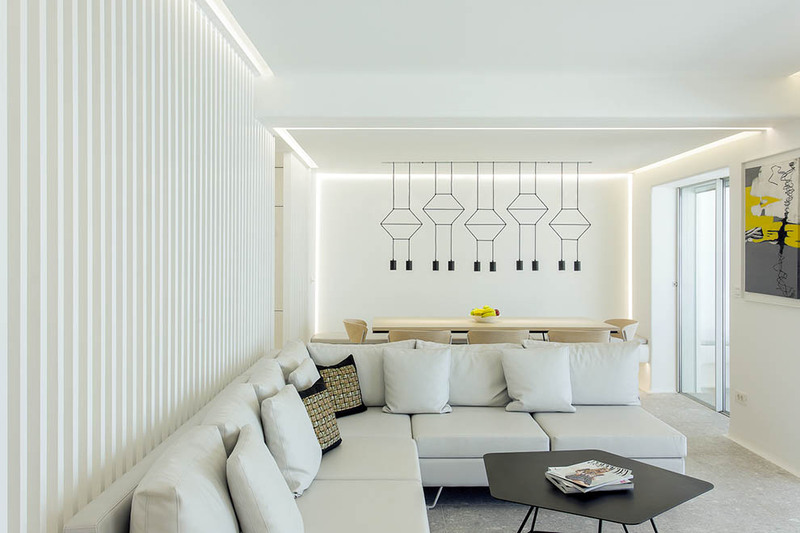 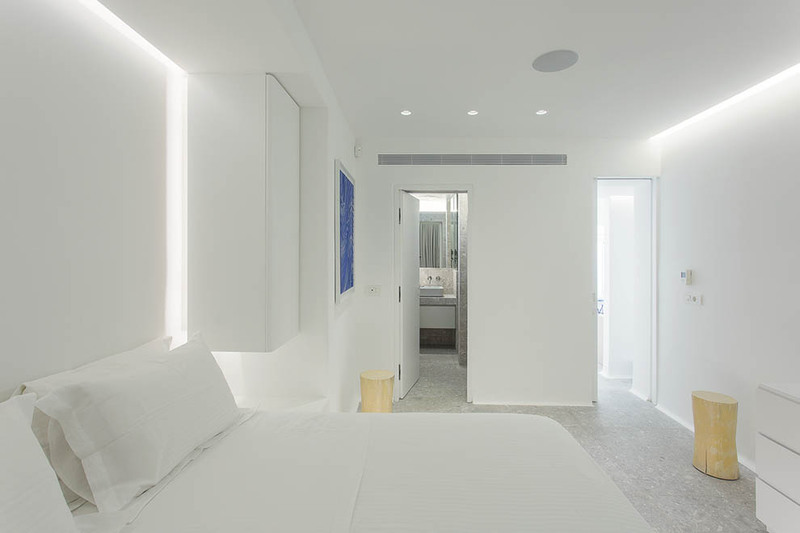 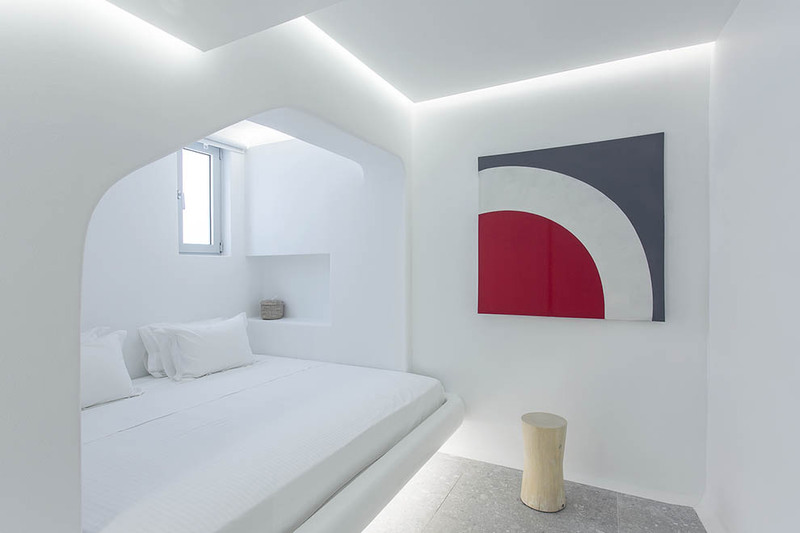 The contemporary atmosphere,the dominating architecture and the elegant furniture, combined with brilliant recessed lighting, promise a pleasant and ultra-comfortable stay even to the most demanding guests. 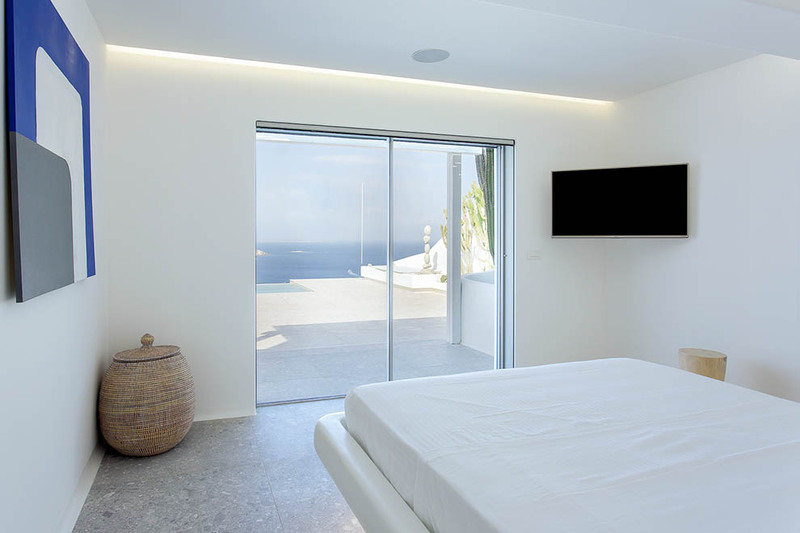 5 spacious stylish bedrooms with fine furnishings and stunning decoration are at guest’s disposal. 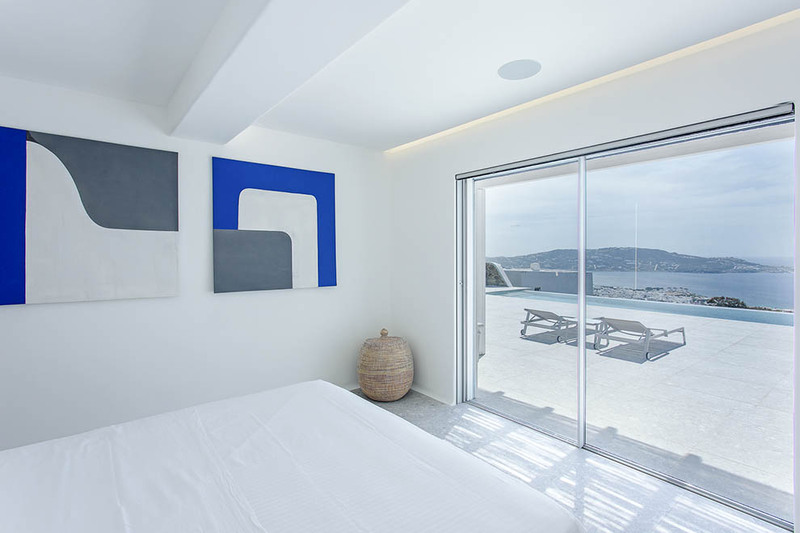 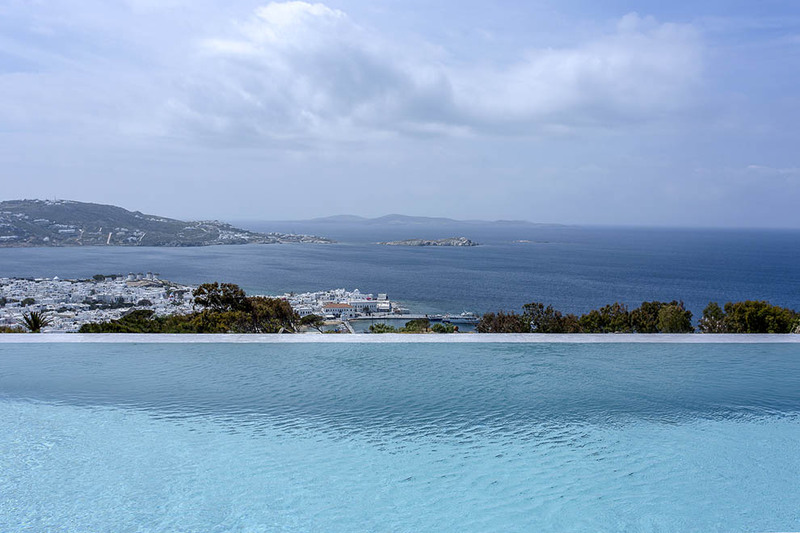 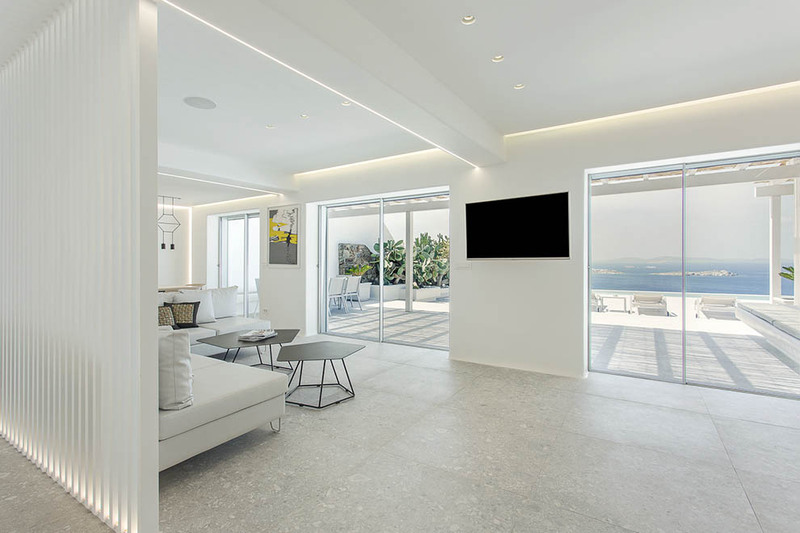 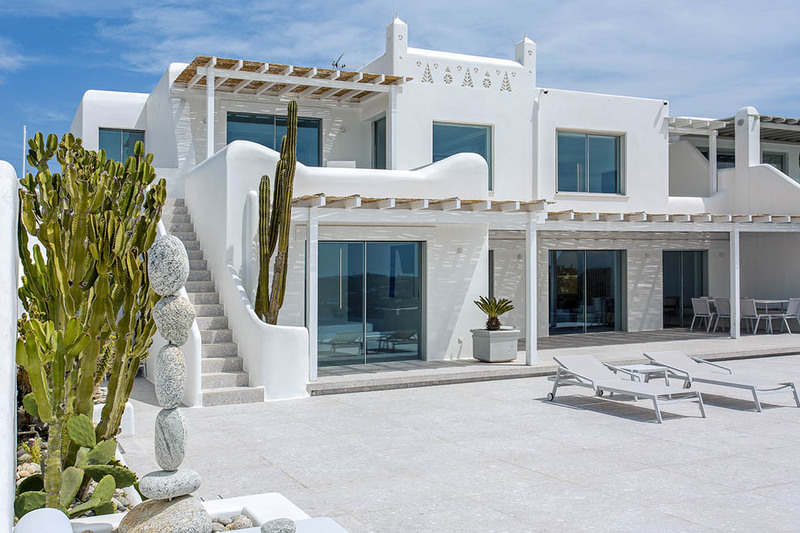 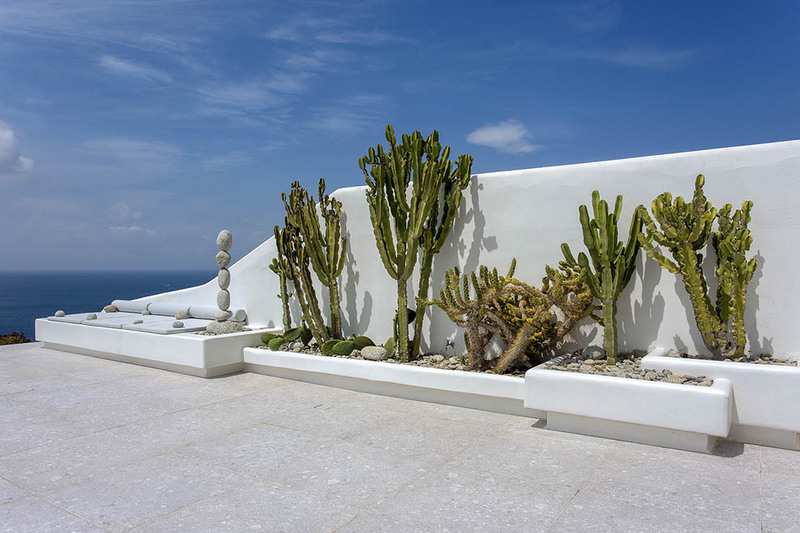 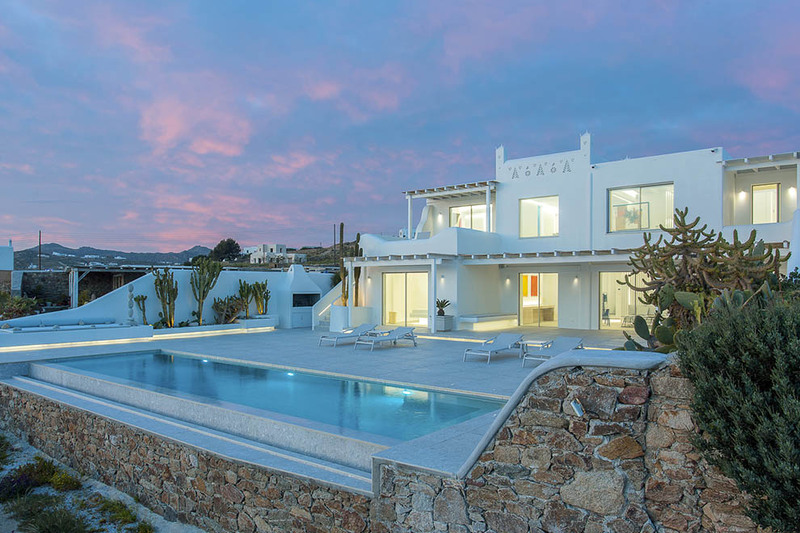 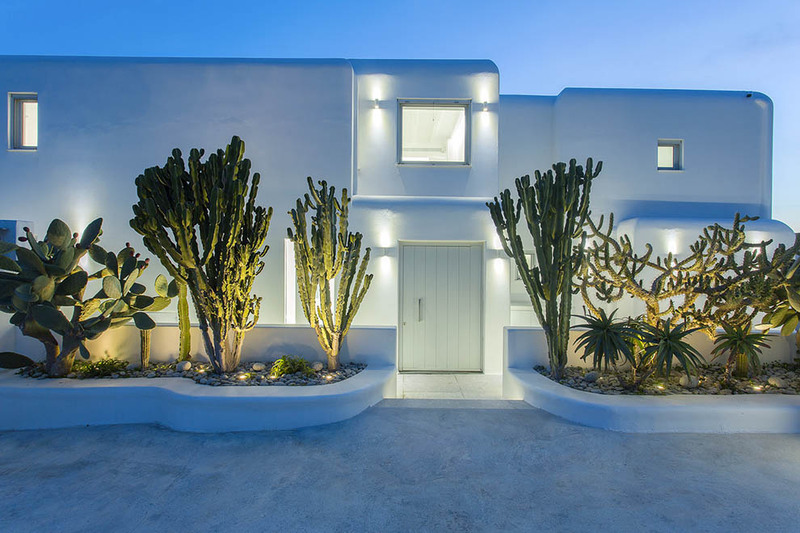 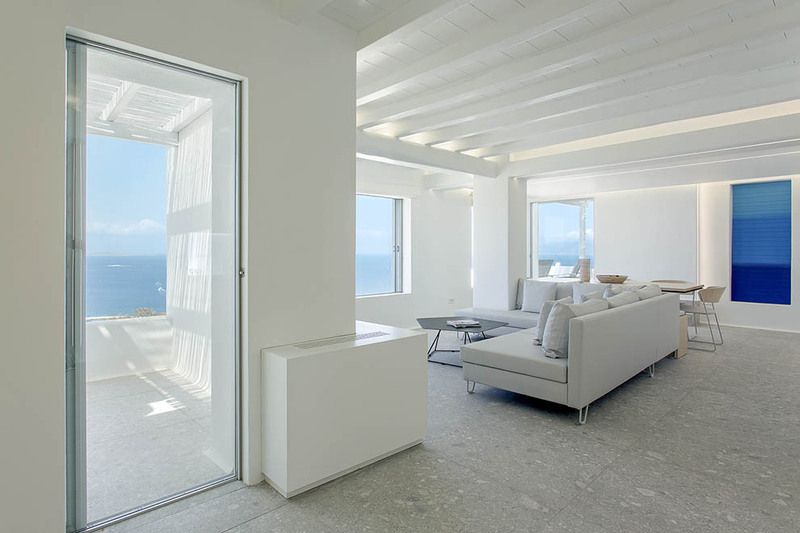 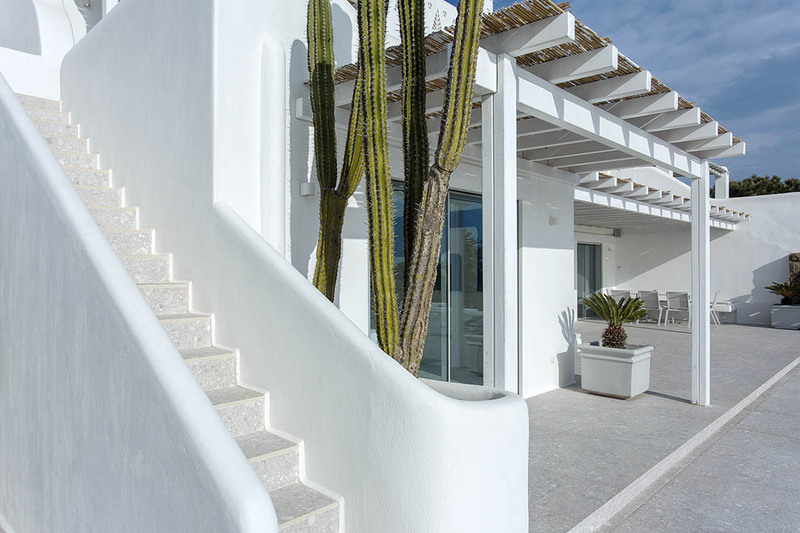 Villa Essence has the exclusive advantage of being one of the few properties located so close to Mykonos town, thus offering its guests the ability to either relax in this luxury villa or visit the vivid town and the magical southern beaches.